During Sunday worship services, we want to spend less time making announcements and more time worshiping. To help facilitate that, we show a brief video announcement segment 4-5 minutes before each service begins. Grab an early seat just before your service begins so you can take advantage of these pre-service announcements. We’ll also post them here on the Sunday Rewind each week. The Bible is a book of revelation, showing us what God wants us to know that we could otherwise not know. Read your Bible. What was one thing you found particularly interesting, insightful, helpful or difficult to understand from this sermon? Read and discuss Psalm 1 and 1 Corinthians 2:6-16. What do these verses tell us about revelation? What do they tell us about the Word of God? What are the general implications of these verses? What are the personal implications for your life? What does it mean to meditate on the Word of God? How does that give us life? What are some things the Bible says about itself? As we read, study, memorize and mediate on the Scriptures, the following sequence is often played out: Information > Insight > Guidance > Comfort. Have you seen this in your own life? What examples can you give? What is the significance of Jesus being the living Word of God (John 1)? What excuses do you have for not being in the Word of God regularly? How can your Shepherd Group help hold you accountable to be faithful in reading, studying, memorizing and mediating upon the Scriptures? Spend some time in prayer for this while thanking God for the wisdom of His Word. LOVE IS PATIENT: Thank you for being patient with my shortcomings. It makes me feel accepted by you. LOVE IS KIND: Your kindness is more than I could ever wish as it makes each day something to look forward to. LOVE IS NOT ENVIOUS: I have never felt your envy toward me which makes our relationship one of encouragement and not competition. LOVE IS NOT BOASTFUL: You never speak highly of yourself which becomes an example for me to emulate. LOVE IS NOT PROUD: Your humility landscapes the lives of those around you, and my life has been shaped by it. LOVE IS NOT RUDE: There are no sharp edges in your speech or manners. I can express my thoughts without fear of attack. LOVE IS NOT SELF-SEEKING: The fact that you are not self-seeking makes me feel important and not just tolerated. LOVE IS NOT ANGRY: You never seem angry which makes me feel protected and safe when I don’t measure up. LOVE DOES NOT KEEP SCORE: I have the freedom to fail without being reminded of past failures. LOVE DELIGHTS NOT IN EVIL: Your avoidance of evil is a moral safeguard in our friendship. LOVE REJOICES IN TRUTH: Your pursuit of truth gives me confidence that you are making wise decisions. LOVE PROTECTS: I feel secure that you desire to protect my reputation, emotions and the hidden fears of my heart. LOVE TRUSTS: Your consistent trust in me removes any suspicion and replaces it with trust in you. LOVE GIVES HOPE: When you give hope to my life, I feel valued. LOVE PERSEVERES: Your persevering love has been a faithful guide for my earthly pilgrimage. YOUR LOVE HAS SET ME FREE. On behalf of HomeFront, a family life community here at RBC, here are several resources to help you get off on the right foot this year with your plans for reading the Bible. There are so many different options to help you read just certain sections, certain themes, or the whole Bible this year. There is no excuse–make the Bible a part of your daily routine! If you’re wanting to go paperless, a Bible reading app is an excellent way to do it. Here are several options. YouVersion: With tens of millions of users, the YouVersion app offers lots of great reading plans from nearly all major publishers. Check out the complete list of reading plans! You can either use these on your computer, or carry it with you on any smartphone. Glo Bible: Many laptop/tablet users prefer the interface and tools built into Glo. Note that there is a nominal charge if you want to use all of the features. Several reading plans are offered: you can learn more here. Journeys from American Bible Society: These are shorter, topic-driven reading plans that can really help you get into the habit. You can even make your own journey and share it with friends, your Shepherd Group, or others. 23 Bible Reading Plans: Excellent roundup in this blog post. Print these out or keep them handy on your computer. These offer a guided plan for reading through part (or all) of the Bible this year. It’s a great idea to go through a plan with your kids if they are old enough–never too early to get them into the habit! For you HomeFront attendees, don’t forget to discuss this week’s HomeFront homework: Discuss how you are going to make the Lord your #1 Priority in 2015. Don’t attend HomeFront? We meet at 9am Sundays in the Youth Building – drop by anytime! We hope these resources are a blessing to you. Make 2015 the year that you really grow in your daily Bible study! We hope many of you take on Pastor Ed’s Scripture memorization challenge from last week’s sermon, Give Me Life According to Your Word. He asked that all RBCers consider memorizing 12 verses over the summer months – these are 12 verses we’ve selected from throughout Scripture that tell us about Scripture. If you didn’t get the memory verse cards passed out last Sunday, those are available by request at the Welcome Desk in the lobby. We’re also pleased to recommend another resource for Scripture memorization called BibleMinded. 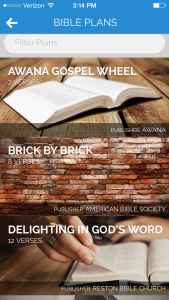 BibleMinded is a free app published by the American Bible Society that allows you to select specific verses to memorize, follow along with pre-made memorization plans, or create your own customized memorization plans. It’s a great resource as we read, delight in and obey the Word of God. BibleMinded is available on Apple, Android and Kindle Fire mobile devices. You can search for BibleMinded from within your device’s store or marketplace or visit http://biblemindedapp.com/. The 12 verses from Pastor Ed’s memorization challenge are included in the app as a featured memorization plan. To access it, download the app, touch Add a Verse and select Plans. As one of the options, you’ll see “Delighting in God’s Word” from Reston BIble Church. You can Add This Plan and start memorizing! Many thanks to RBCer Scott Wennermark of the American Bible Society for setting this up for us. Psalm 119 admonishes us to read God’s word, delight in His word, and obey His word. Revelation from God in the Bible – when understood, delighted in and obeyed – puts us on the path that leads to genuine life. What was one thing from this message that was particularly helpful or insightful? What was one thing that was difficult to understand or put into practice? Read and discuss Psalm 119:1-8, 33-40. What do you observe about the nature of God? What is implied in these verses about the nature of man? What do these verses tell us about God’s word? How would you respond to Pastor Ed’s three questions – Do you (currently) read God’s word daily? Do you (currently) delight in His word, the Scriptures? Do you (currently) obey God’s word? What does it mean to hide God’s word in your heart (Psalm 119:11)? Can you think of a time when the word of God gave you comfort or ministered to you specifically during a difficult season or situation? How does the word of God free us from guilt & shame and show us the path to life? In Psalm 119:33-37, what are the five requests the psalmist makes as he approaches God’s word? How can you incorporate these into how you approach the word? What does it mean to delight in God’s word? What should you do if you have no delight in it? Last weekend as part of his Revolutionary Love series, Pastor Mike shared a reading based on 1 Corinthians 13. Since many asked for a copy of it, here it is below. Thank you for being patient with me and all my shortcomings. Your kindness has worked its way into my heart. The way you genuinely rejoice when others are blessed instead of being envious has taught me to follow your example. Your lack of boasting and pride make me feel safe to be around you. Your gentle spirit erases the painful rudeness of life. I am drawn to you because you are never self-seeking and desire to bless me above yourself. You never seem angry when I fail you, which has been a model for me to do the same. Thank you for not rehearsing my wrongs as your love has covered a multitude of my sins. You draw daily from the tree of life and shun evil which so refreshes my very being. I love the way you rejoice in the truth because knowing the truth sets me free. You so desire to protect my reputation and character which allows me to focus on the Lord. Your consistent trust in me has made me feel very special and the fact that your hope in my success always perseveres. Your love simply never fails. You make me feel like I am the greatest because the greatest of these is love. What an incredible picture: our Savior singing praises alongside his disciples. That’s a passage I have passed by many times and never really thought about. But it’s absolutely magnificent. Why did Christ and his disciples sing? Why do we sing? Singing together tends to bind us together. It enables us to spend extended periods of time expressing the same thoughts and the same passions. Singing can help us use words to demonstrate and express our unity – our unity as believers, our unity as a church. Scripture doesn’t only speak about congregational singing–but it is clear that a dominant theme of Scripture is believers singing together (2 Samuel 6:1-23, Psalm 95:1-2, 100:1-2, Acts 16:25, Romans 15:9, Hebrews 2:12, Hebrews 13:15). We are called to sing together. The question is not, “Do you have a voice?” The question is, “Do you have a song?” If you are redeemed by Christ’s cross then you do have a song. So why do we sing? One simple reason: God deserves our praise. This is good, this is right, and this is true. But worshiping the Lord is something that we each must decide to do for ourselves. We choose to sing. And yet, by our actions, we often decide that He should not receive something that He declares He wants. But we must not withhold from the Lord the glory that is due to Him. We sing together to shift the allegiance of our hearts from the kingdom of self to the Kingdom of God. We sing together to realize there’s something more important in life than our own plan and our own pleasure: The glory of God. That’s why we sing. May we sing loudly. May we sing freely. May we sing together. As we’ve seen over the past six weeks during our teaching series, The Forgotten War, it is crucial that every Christ-follower understand that we are involved in constant spiritual battle that roils and rages within and without. Certainly, spiritual warfare is something we can easily over- or under-emphasize, but the importance of developing an awareness of the war cannot be understated. For me personally, The Forgotten War series has brought to mind not only the need to be aware, but also the need to be vigilant, prepared and courageous as I engage “against the rulers, against the authorities, against the powers of this dark world and against the spiritual forces of evil in the heavenly realms” (Ephesians 6:12). Like any good wartime tactician would, the apostle Paul walks us through the tools at our disposal here in Ephesians 6. He lays out an array of defensive and offensive options and invites us to suit up and make ready. What we should not miss, however, is that this passage is not merely about techniques or tools. There is a greater purpose behind each element of this considerable arsenal. With a closer examination of each piece of armor, it would seem that each weapon Paul arrays before us leads us not merely to a technique, a tool, or a spiritual warfare methodology, but to a Person – the person of Jesus Christ. We are to fasten on a belt of truth. Certainly it goes without saying that having the truth fastened to us is vital as we resist Satan, who is “the father of lies” (John 8:44). Pontius Pilate once asked, “What is truth?” (John 18:36). While this remains a favorite question of many even in our day, Jesus has already answered this for us – He is the truth and truth comes through Him (John 1:17, 14:6). We are to put on a breastplate of righteousness. * We are all prone to establish our own righteousness apart from God, but Christ fulfills all that is needed – He gives it freely to those who believe (Romans 10:3-4). The only righteousness that counts is not from man, but from God’s abundant provision of grace – the gift of righteousness through Jesus (Romans 5:17). We are to have feet ready to carry the gospel of peace. The word “gospel” means good news, and there is no better news than the “good news of peace through Jesus Christ, who is Lord of all.” (Acts 10:36) Because of this great gospel “we have peace with God through our Lord Jesus Christ” (Romans 5:1) and thus should “be ready to do whatever is good” (Titus 3:1). We are to take up the shield of faith. Remember that breastplate of righteousness? It goes hand-in-hand, as it were, with this shield of faith. Righteousness comes through faith in Jesus Christ to all who believe (Romans 3:22). Because of the gift of our faith in Jesus, we are shielded by God’s own power (1 Peter 1:3-5). Our faith comes from Jesus who is also perfecting it in us (Hebrews 12:2). And when our faith fails, the faithfulness of our Lord remains a shield around us (Psalm 91:4). We are to take the helmet of salvation. * Salvation is “in no one else, for there is no other name under heaven given to mankind by which we must be saved.” (Acts 4:11-12) Salvation is found in Christ alone. No single element of this arsenal is an end unto itself. Each piece points us directly to Jesus. A belt, a breastplate, a shield, a helmet, a sword – each piece is a parable, imploring us not to trust in the instruments themselves to win the battle – as those who might trust in horses or chariots (Psalm 20:7) – but to trust in Christ, who is mighty to save and who secures our victory. It is only through our relationship with Jesus Christ that we can engage in such a battle. Apart from Jesus, we would have no knowledge, ability, authority or power to think rightly about spiritual warfare, much less engage in it. It is only in Jesus’ Name, only by His presence in us, with us, and through us that brings us any victory in this forgotten war. The victory is ours, because it is His. * It is interesting to note that in Isaiah 59, the Lord God enters battle against His enemies, who have separated themselves from Him by their sin. That’s us. And as He went forth, “He put on righteousness as his breastplate,and the helmet of salvation on his head” (Isaiah 59:17). It is incredible that now, because of Christ, He makes these available to us. God gives us His own “armor” as we do battle as adopted heirs, sons and daughters of the Most High God, co-heirs with Christ. As we ramp up for our annual missions conference, we have the great joy of giving thanks to God for Andrew & Ruth Murray this weekend during our worship services (November 4). Andrew & Ruth are long-time RBC missionaries who are retiring from the field after many years of faithful gospel-centered service in Papua New Guinea. The video above is raw footage showing them delivering printed New Testaments in the native language of the Nimo tribe early in 2011. For the first time in history, the Nimo people are able to read the Word of God for themselves. This short clip is the culmination of many years of faithful ministry and Bible translation. We praise God that Christ is being made known to the Nimo tribe. We praise God for the faithfulness of His servants, who heeded His call to the field and labored in faithful, obedient love to their Savior. May Christ be glorified as we celebrate what He has done in and through Andrew & Ruth. Right now, I’m in the process of transcribing the entire book of Psalms. It’s amazing how things jump out of God’s Word when you’re writing them – actually writing them – and reading over His words in your own handwriting. As a worship leader and songwriter, I find so much treasure – pound for pound – in the Psalms. They are so rich in reverence, so full of revelation, and still, somehow, so human. Every feeling of sorrow, loneliness, every triumph and delight I’ve ever felt is echoed tenfold in the Psalms. It’s such an encouragement to know that David, a man after God’s own heart, was desperate for God’s love and seeking His favor just as much as we are. Several weeks ago, I was in Psalm 3 where David is complaining to God about his enemies and thus confiding in God and seeking His deliverance (“O Lord, how many are my foes?…”). Ultimately, he sees the hand of God at work and gives glory to Him for the victory he finds over his fears (“He answers me from His holy hill…”). Victory that comes only from a loving God that “sustains” (verse 6). His care and comfort are constant. We worship and serve a God that loves with an unending, never failing love. It’s no coincidence that we sing about that steadfast love together each and every week. Without a doubt, His love is UNENDING. May we find all we truly need in that simple truth. We’re introducing a new song called Unending Love. God has used this song to encourage me so much in recent months. My hope is that He works in our hearts together as a church to respond to the powerful revelation that is HIS LOVE. I pray that God will prepare our hearts to worship and that His Spirit will empower us to offer all we are at His feet. Have a great week and we’ll see you on Sunday! 1. When you were dating you thought to yourself, “When we get married, I will change him/her.” That introvert personality will come out of their shell. Those strange irritating habits will fall by the wayside. This is equivalent to believing a dog can teach a cat to bark. It won’t happen. One’s personality is not a sin. Sin lies in character, morals, ethics, and behavior but not in personality. 2. Heading down the aisle, you were quite sure the two of you were of one mind in thought and purpose – but time has proven otherwise. There was more of a distance between the two of you when you said “I do” than you could have ever imagined. That unknown distance is the unexplored territory that marriage reveals. All marriages are programmed to fail if this territory is not navigated with humility and wisdom. To neglect this piece of real estate is to run from responsibility. 3. Recognize that all your expectations before you got married were performance based. “If I can get him/her to change, then I will have a happy marriage.” When such expectations are not realized, the lingering weight of disappointment only exacerbates the situation. 4. 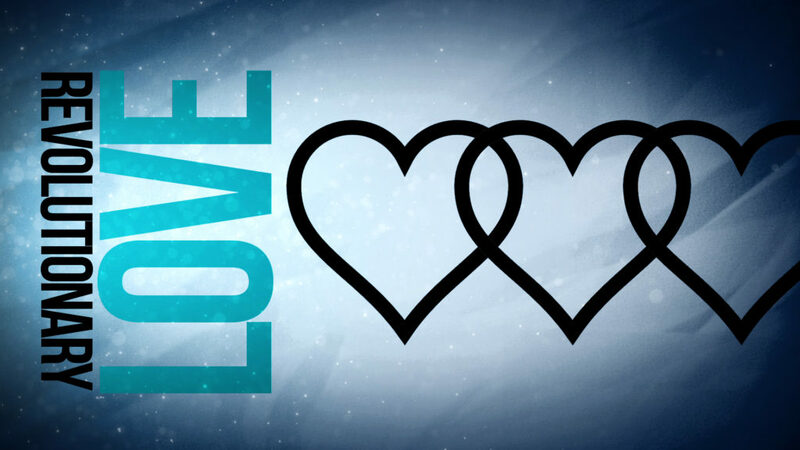 Love is not based on what your spouse can do for you but what you can do for your spouse. 5. Proverbs 18:17 says, “Life and death are in the power of the tongue.” If this verse could be measured in speed, it would be lighting fast. If measured in power, it would be 500-horse power. If measured in bytes, it would be a million gigs. Tattoo this verse on the back of your eyelids and let it be the guide for your tongue all the days of your life. What you say to your spouse does not reveal their heart, but yours (Matt.12:34). 6. When the changes you were counting on didn’t happen, angry words are exchanged. Attacks and counter attacks become the norm. Both sides begin to retreat into their own private world of work, TV, video games, and endless hours of entertainment to deaden the pain. Emotional or legal divorce is soon to follow. 7. We can control what we eat, but we cannot control what we hear. We can remove what goes into our mouth but not what goes into the ear, which is the gateway to the soul. Once it is said, it cannot be retracted. 1. It is never too late to get things back on track. It will take courage, time, energy, wise counsel, and most of all humility. 4. You will then need to plan out a strategy for how you will deal with conflict in the future. There will need to be ongoing maintenance to keep the marriage on a biblical track. Marriage requires work and lots of it. Even the best of marriages require time and energy. The cruise control on your car works well on the highway but cruise control in marriage will result in a wreck. 5. Follow God’s blueprint, and leave the results to Him. Though sin no longer separates the believer from God in the ultimate sense, we know both from Scripture and an honest assessment of our daily lives that it is still a force very much active within us. 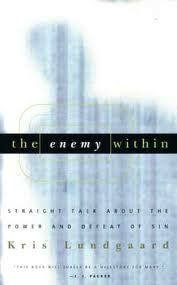 When left unchecked, sin will kill the joy not only in our human relationships, but in our relationship with God. Thus, be killing sin – or sin will be killing you. If you’d like to further equip the mind in regards to killing sin, I’d recommend the books below – all excellent reads on the subject. You can check at the RBC Bookstore between Sunday services for availability of any of these. In The Mortification of Sin, Puritan pastor-theologian John Owen provides vital teaching in a neglected aspect of Christianity – killing sin. In this book, Owen effectively dismisses various excuses for not engaging in self-scrutiny and yet avoids the current trend of self-absorption. 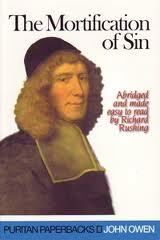 In so doing, he provides principles to help believers live lives of holiness before God. You can go for the original unabridged version, but for a quicker read, I’d recommend Richard Rushing’s abridged version. and hope for overcoming the enemy within. Cornelius Plantinga Jr.’s Not the Way It’s Supposed to Be: A Breviary of Sin revives in modern terms the ancient awareness of sin that has slipped in recent decades. Plantinga uses clear language and draws upon myriad books, films and other cultural resources to drive home our need to simultaneously hate sin and love the grace of Christ. world” and so tolerate jealousy, anger, pride and ungodliness within our own hearts. 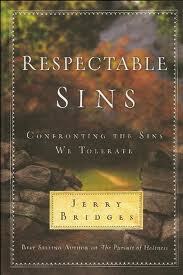 Bridges humbly points his readers again and again to the profound mercy of the grace of Jesus. You can check out the audio/video of the weekend teaching here. Below are a few Scriptures (ESV) for study & reflection regarding sin, the mind as watchman to the soul, and others referenced during the teaching. Romans 7:21-23 – So I find it to be a law that when I want to do right, evil lies close at hand. For I delight in the law of God, in my inner being, but I see in my members another law waging war against the law of my mind and making me captive to the law of sin that dwells in my members. James 4:17 – So whoever knows the right thing to do and fails to do it, for him it is sin. Psalm 51:5 – Surely I was sinful at birth, sinful from the time my mother conceived me. Psalm 58:3 – Even from birth the wicked go astray; from the womb they are wayward and speak lies. Galatians 5:17 – For the desires of the flesh are against the Spirit, and the desires of the Spirit are against the flesh, for these are opposed to each other, to keep you from doing the things you want to do. Romans 8:12-13 – So then, brothers, we are debtors, not to the flesh, to live according to the flesh. For if you live according to the flesh you will die, but if by the Spirit you put to death the deeds of the body, you will live. Colossians 3:5-6 – Set your minds on things that are above, not on things that are on earth. For you have died, and your life is hidden with Christ in God. When Christ who is your life appears, then you also will appear with him in glory. Put to death therefore what is earthly in you: sexual immorality, impurity, passion, evil desire, and covetousness, which is idolatry.On account of these the wrath of God is coming. 1 Corinthians 9:26-27 – So I do not run aimlessly; I do not box as one beating the air. But I discipline my body and keep it under control, lest after preaching to others I myself should be disqualified. 1 Corinthians 15:9 (written approximately AD 55) – For I am the least of the apostles, unworthy to be called an apostle, because I persecuted the church of God. 1 Timothy 1:15 (written approximately AD 64) – The saying is trustworthy and deserving of full acceptance, that Christ Jesus came into the world to save sinners, of whom I am the foremost. *Note that if you study the surrounding context of each reference above, you’ll see that as Paul grows in the knowledge of his own sin nature, he likewise expresses growth in his knowledge of grace, redemption, and forgiveness. He grows in his love and appreciation for Christ as he realizes more and more what he has been saved from. 1 Pet. 1:13 – Therefore, preparing your minds for action, and being sober-minded, set your hope fully on the grace that will be brought to you at the revelation of Jesus Christ. Romans 8:6 – For to set the mind on the flesh is death, but to set the mind on the Spirit is life and peace. Romans 12:2 – Do not be conformed to this world, but be transformed by the renewal of your mind, that by testing you may discern what is the will of God, what is good and acceptable and perfect. James 1:8 – …he is a double-minded man, unstable in all his ways. 2 Corinthians 4:4 – In their case the god of this world has blinded the minds of the unbelievers, to keep them from seeing the light of the gospel of the glory of Christ, who is the image of God. 2 Corinthians 11:3 – But I am afraid that as the serpent deceived Eve by his cunning, your thoughts will be led astray from a sincere and pure devotion to Christ. Hebrews 10:14 – For by a single offering He has perfected for all time those who are being sanctified. Ephesians 2:8-9 – For by grace you have been saved through faith. And this is not your own doing; it is the gift of God, not a result of works, so that no one may boast. Philippians 1:6 – And I am sure of this, that he who began a good work in you will bring it to completion at the day of Jesus Christ. During services last weekend, we heard about Grand Theft Joy. We discovered that as followers of Christ, we make decisions every day to either protect our joy or to allow the joy that God intends for us to be taken away. We allow our joy to be taken from us by “Joy Thieves” when we don’t protect the precious gift that God has given us through Jesus. All Joy Thieves seem normal – even healthy – until they aren’t kept in check. But there is one Joy Thief that is particularly relevant to us in Northern Virginia – busyness. If we aren’t careful, busyness steals joyfulness by keeping us from spending time with Jesus – the only source of true joy. As a follow-up to that message, we have issued the 5-for-5 Challenge. We encourage you to spend five more minutes with Jesus than you do right now for the next five days (Monday through Friday). If you aren’t sure what that looks like or needed a fresh look at God, we’ve posted five short devotionals based on this week’s message. Monday: Read Luke 10:38-42 carefully. Notice that Jesus does not contrast Martha’s busyness with Mary’s laziness. The text says that Mary “left” serving with Martha. Mary chose to leave her own serving (busyness) for something better. Read Psalm 43:4. God is your joy and, as you go to Him, He is your exceeding joy. That joy then spills over (remember the blocks illustration from the weekend teaching?) in worship and your intimacy deepens from “O God” to “my God.” Ask the Lord to help you bring these truths into your day. Tuesday: Read Psalm 126:3. This is the heart of the Gospel – the good news of Jesus Christ – not what you do for God, but what He has done for you. Martha was doing for Jesus while Mary was learning who Jesus was and what His coming (birth, life, death, and resurrection) did for her. As you focus on what He has done for you, joy begins to fill you. Ask the Lord to take you deeper in your understanding of all that He has done for you. Wednesday: Read Psalm 84:1-2. Spending time each day in the loveliness and beauty of who God is, His dwelling place, creates a deeper longing and yearning for Him. So much so that this yearning is likened to fainting from desire. The heart and flesh, in other words – all of us, sing with joy to Him. It becomes a joy to leave our busyness and sit in His presence like Mary. Ask the Lord to draw you to Himself in deeper ways as you experience joy in His presence. Thursday: Read Psalm 27:4. David is seeking time with the Lord, just as Mary did. It is the “one thing” most important to Him, just as Jesus commended Mary for her “one thing.” David tells the Lord he wants to dwell in His presence for all the days of his life, to see His beauty. A follower of Christ has eternal life that begins the moment they trust Christ here on earth and continues without end into eternity. Ask the Lord to not only increase your joy, but to reveal His beauty as you spend increasing time with Him here on earth and prepare for eternity with Him. Friday: Read Psalm 16:11. The passage promises fullness of joy in God’s presence forever. Not just joy, and not even exceeding joy -but fullness of joy now and forever. God is your joy, and as you spend time in His presence now, joy grows to fullness. You can’t have true lasting joy without being in God’s presence. Ask the Lord for an increasing desire for Him, for the joy of who He is. That desire will be fulfilled in eternity as you receive the fullness of complete joy in His presence forever. Adult Bible Fellowships (ABFs) at Reston Bible Church are mid-sized groups that meet regularly for fellowship and to encourage one another around in-depth study of God’s Word. The groups have quality teaching based on Scripture, led by men with a gift for presenting God’s Word in an interesting and engaging way. The RBC leadership is thankful for the many who were able to attend last weekend’s RE:NEW conference with Ed Welch. As a help to you were (and were not) able to attend, here is a list of most of the Scriptures Dr. Welch referenced in his sessions. The beauty and power of the Word of God cannot be overstated, so great is the power of committing Scripture to memory. We pray you will commit these to memory; they are vital tools in our battles with fear, worry, and anxiety. “Do not fear, for I am with you; do not be dismayed, for I am your God” (Isaiah 41:10).